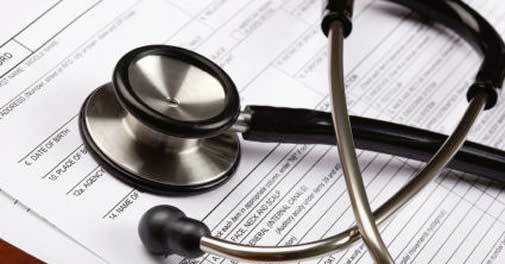 Health insurance policies entitle policyholders to a free medical check-up once every four years. Most policyholders know about it. Still, say experts, not more than 20-25% of them go for it. There is more than one reason for this. While many do not know how to avail of the benefit, others fear a rise in premium if the test results are not up to the mark. These fears are not justified. Renuka Kanvinde, assistant vice president, Bajaj Allianz General Insurance, says, "No, the person is not charged extra renewal premium if the parameters in test reports are altered. These findings are considered for underwriting only if the client wants to increase the sum insured at the time of policy renewal." Anuj Gulati, managing director and CEO, Religare Health Insurance, says, "These tests have no bearing on premiums even when policies come up for renewal. The benefits are offered to motivate customers to find out about their health." We tell you how to avail of the benefit. Call up the insurer's toll-free number or visit the nearest branch to intimate it about your intention. The process may vary from company to company. "Customers can call or write to us to schedule their health checkup. We revert to them with confirmed date and time & location as per their preference. Then we send them an authorisation letter, which they need to carry to the diagnostic centre along with the health card," says Gulati. "The insured has to send a request on the toll-free number or visit the nearby branch. The team concerned then contacts him and arranges for the check-up at his preferred centre," says Renuka Kanvinde of Bajaj Allianz. For lower prices and easier payment, it is good to get the tests done at an empanelled diagnostic centre or hospital. Kanvide says that generally the customer is not asked to pay if the tests are done at an empanelled centre. The insurer pays the centre according to the agreed rates. The customer can also get the tests done in a lab of his choice and get the money reimbursed from the insurer. A policyholder is entitled to reimbursement of the cost of a health check-up once after every four claim-free years. Remember, it has to be a block of four claim-free years. The good news is that many companies have started offering the benefit every year. For example, Religare Health Insurance offers the facility every year, even if you have filed a claim in that very year. The tests include consultation, ECG, complete blood count, fasting blood sugar, lipid profile, urine test and chest x-ray. Antony Jacob, chief executive officer, Apollo Munich Health Insurance, says, "Any routine examination, test or check-up, including those required by the customer, can be included." The rates are mostly negotiated between the diagnostic centre and the insurer. They may, however, vary from insurer to insurer and product to product. For instance, many companies offer a comprehensive package for polices with high sum insured. As various diagnostic centres have different charges, the policyholder must check the amount he will be reimbursed under his policy. For example, under Apollo Munich's Easy Health plan, customers can avail of free health check-ups up to 1% of sum insured, subject to a maximum of Rs 5,000 per insured person. The health policy of Oriental Insurance states, "The cost so reimbursable shall not exceed the amount equal to 1% of the average basic sum insured during the block of four claim-free underwriting years." Some insurers specify the tests you can opt for instead of the amount. Generally the customer is not asked to pay if the tests are done at an empanelled centre. The insurer pays the centre as per the agreed rates. If the tests are done in a nonempanelled centre, the charges are reimbursed upon receipt of the bill. "A policyholder can avail of health checks in any diagnostic centre or hospital. At Apollo Munich we make payments through the National Electronic Funds Transfer system," says Jacob. Policy wordings of most insurers say that the specified period of the policy should be claim-free. For example, if the policy term states that the free medical check-up is available after a block of four claim-free years, the policyholder can avail of the benefit in the 5th year of the policy, subject to last four years being claim-free. The fact is that insurers and agents do not advertise the facility much. Still, do not miss out on the benefit. A routine health check-up will be your first step towards staying fit.